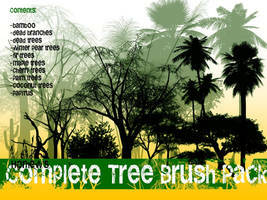 Taking point donations for the use of this brush! 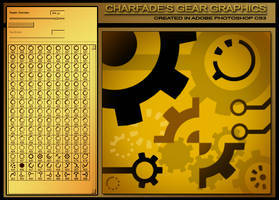 See my DA homepage under DA ID. Thanks! THIS BRUSH PACK FILE SHOULD NOT UNDER ANY CIRCUMSTANCE BE COMBINED WITH OTHER BRUSH PACKS FOR REDISTRIBUTION ONLINE ( sorry for the big warning, apparently people like going around and stealing brushes from artists who made them and making their own packs out of other peoples work. If you see this happening please report immediately. Original artists should get credit for their work. 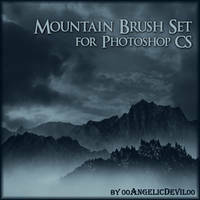 )This brush pack is intended for Educational purposes only. 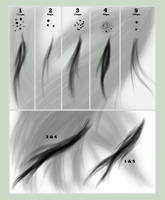 Its been awhile since I've uploaded any of my brushes... so.. 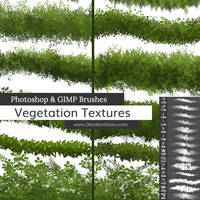 I figured it was due time that I released my leaves and vegetation brushes. 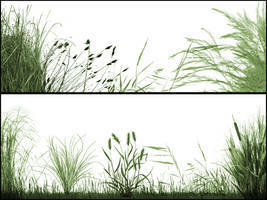 Just like my grass brushes these are free to use for what ever you want. All I ask is that you link back here if you do use them. For 2 reasons I ask this... so that others can find and download them and so I can see how you used them. I find it so interesting what people come up with. ^_^ Also please fav if you use, that way more people can find them. I'm all about sharing the love. NEW!!! 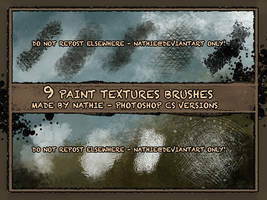 File has been updated with both high purity level brushes and normal brush saturation brushes. I recommend downloading the new file to update your resources. XD Enjoy! 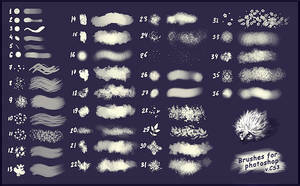 Some of you have asked why the purity level is high on some of the brushes. 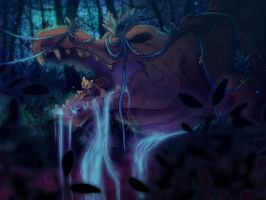 Well I was working on an illustration that needed it and it got set on it on some of them. The problem is if you have a gray color and you start painting it comes out really saturated. 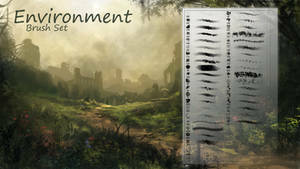 The fix is going to the brush dialogue box and changing the purity level. 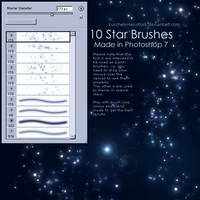 Do this by hitting F5 or selecting Windows from the tool bar at the top > Brushes. [link] <--- if the purity level is set high, change it to 0. I plan on fixing the file, I just haven't had time. My apologies if this inconveniences anyone. 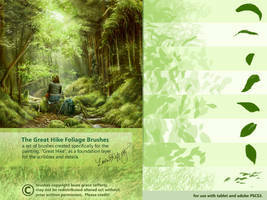 Click download and save the file to your desktop. 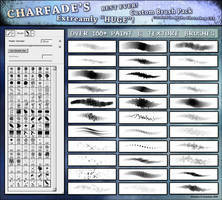 Click and drag the .abr file from the desktop into the brushes folder. 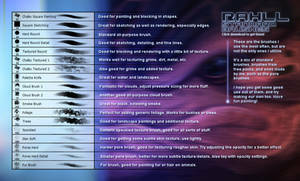 Notes: This is for the basic install for photoshop running on Vista 64bit. 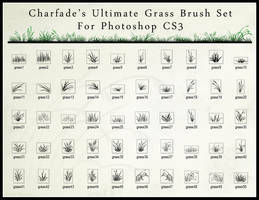 Depending on where you installed photoshop on your computer, install steps may change. Leave a comment if you are having install difficulties. Safe for use on the Mac. reload the page and it will work ! 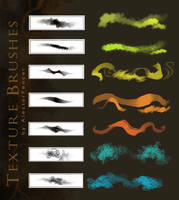 Anyone know if these brushes will work in Paint Tool Sai? Also, they work fine in CC. These are wonderful! 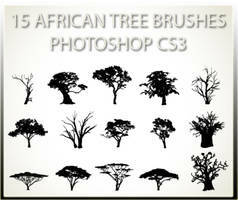 Thank you, I've been looking for a brush set like this. Will speed things up quite a bit. Thank you! Keep up the wonderful work. 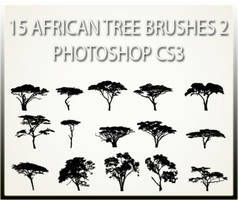 Just wondering are these compatible in corel draw 2015? 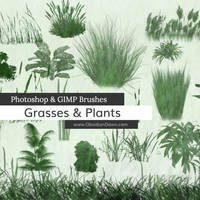 Hey there, fantastic brush this is and it was great to actually have a big set of different leaves & plants to choose from instead of just a tiny selection! As requested, I linked this page and your account in the description of the artwork I recently made, which I will link below. 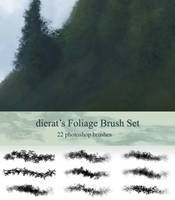 Can you use these brushes in painttool sai? 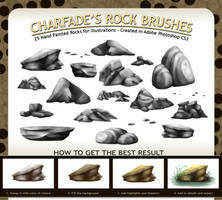 Do these work on paint tol SAI? 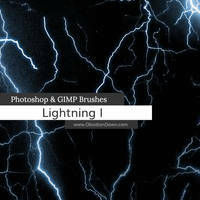 Got it to work in CS5. Thank you so much for these. 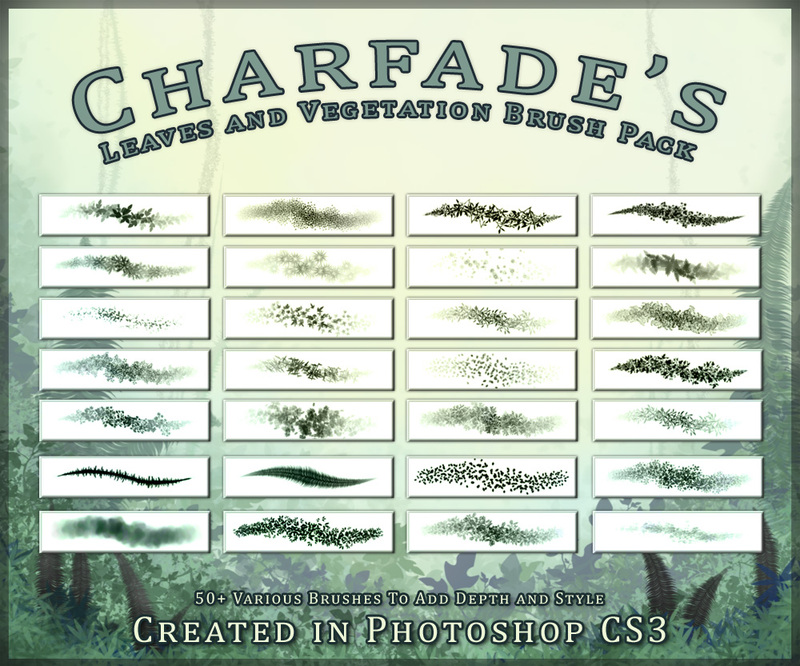 Help a lot with the time consuming process of leaves. 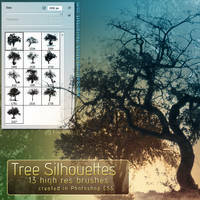 Tree Background - Free to use tested here and might use them for my Comic thanks for sharing these!